Automatic Hologram Sticker Labelling Machine is suitable for applying Hologram Sticker Labels on Various types of Label and Film Roll used in Packaging Industries. It is capable of Labelling up to 300 Hologram per minute depending on Length and Hologram size. 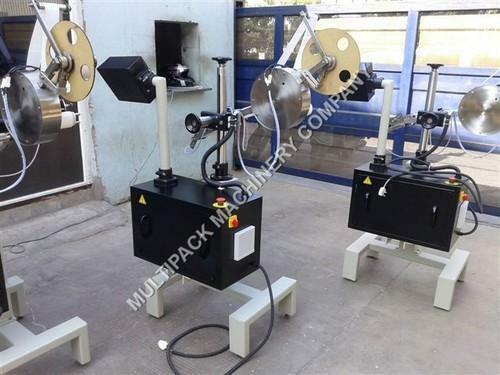 Hologram Applicator is fully synchronized with all operations including Product Feeder, Roll Winder and Label Dispensing for optimum Labelling accuracy; it also helps to change the Labelling speed online with the help of Single Speed Pot provided on control panel. Hologram Applicator is available with unique single point synchronised speed control system. The Inbuilt Automated Label Length detection systems eliminates any need for manually feeding and storing of Label Length data in memory and retrieving the same every time for change of Label Size & re-starting the machine. The stand alone label applicator machine is mainly utilized for labeling a product in bulk quantities on the conveyor lines. It has a powerful sensor in order to detect the product when it moves down from the conveyor, and thereby activate the application of the label at the appropriate time. Moreover, the product should be properly handled and must also be firmly controlled in order to assure that the label is perfectly placed on the product. 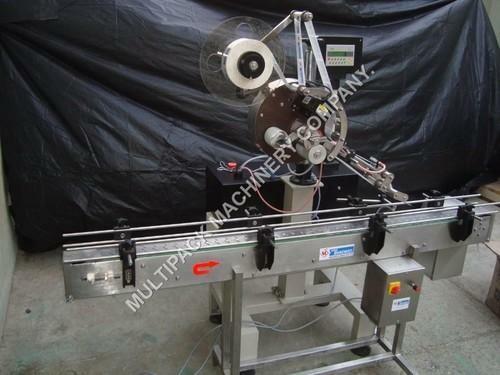 This sophisticated label applicator machine is also well synchronized with all the other functions of the machine, such as product feeding, roll winding and label dispensing for enabling precise and optimum labeling. Further, it even provides the facility of online changing the labeling speed, with the help of a single speed point available on the control panel. This high speed model SB LABEL – 01 of the stand alone label applicator has the capacity to deliver an output of up to 250 products in just one minute. The diameter of the inner roll is 75 mm and the outer roll diameter is 300 mm. It also includes an exceptional single point synchronized speed control system; and an inherent A.C. frequency drive system. Besides this latest label applicator machine even has an automated system for detecting the length of the labels. Thus the user does not have to manual feed and store the data related to the label length in to the memory of the equipment; and also retrieve the same details, whenever the label size is changed and even when the machine is restarted. This elegant system thereby results in saving your time, prevents down time of the machine, and also reduces the cost, and assists in achieving higher production. In fact it is regarded as an ideal machine, since it meets the diverse needs of the current market. 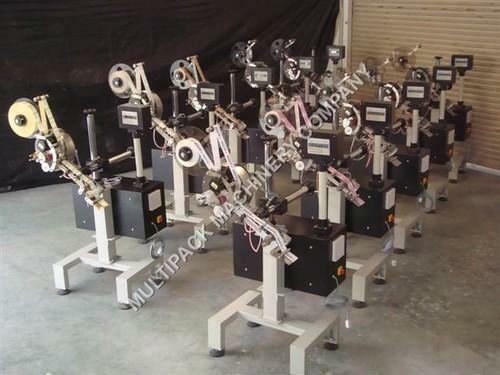 Looking for “Hologram Labelling Machine applicator”?